Steve Staunton was unveiled as the new manager of the Irish international soccer team. 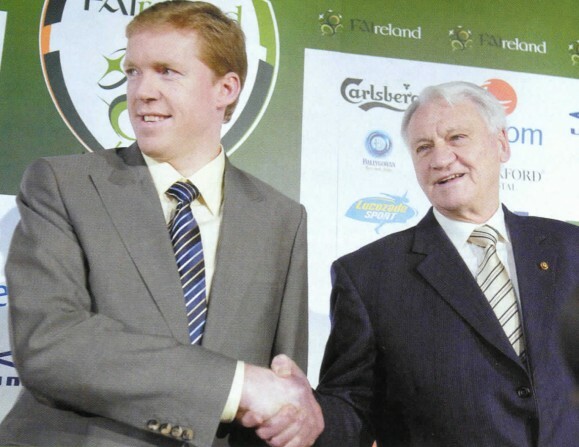 In a surprise move, the Football Association of Ireland (FAI) named Staunton to lead the new management team alongside veteran manager Bobby Robson. Staunton, 37. will be team manager and Robson, 72, who once guided the English national side to the semifinals of the World Cup. will be his adviser. Staunton’s predecessor Brian KCIT was fired amid accusations that he lacked experience at senior international level. However, Staunton, although holder of a record 103 international Irish caps as a player, has no management experience whatsoever.